Stainless Steel, 18K Gold, Diamonds .44 ct. t.w. 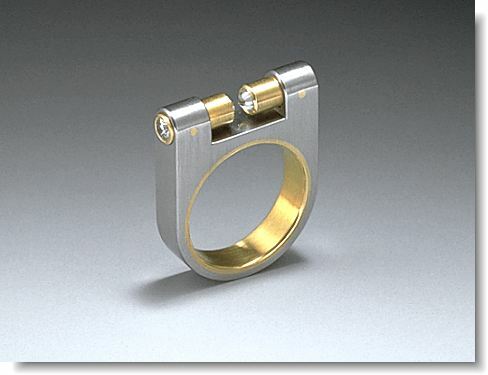 The steel part of this ring is machined out of a solid piece of stainless steel bar. To see the making of this ring in 54 sequential photographs take a look at the "process" pages on this site or click here.